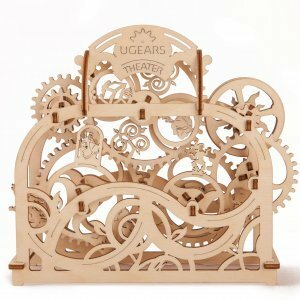 UGears introduces its next creative decor item, The Wheel-Organizer. 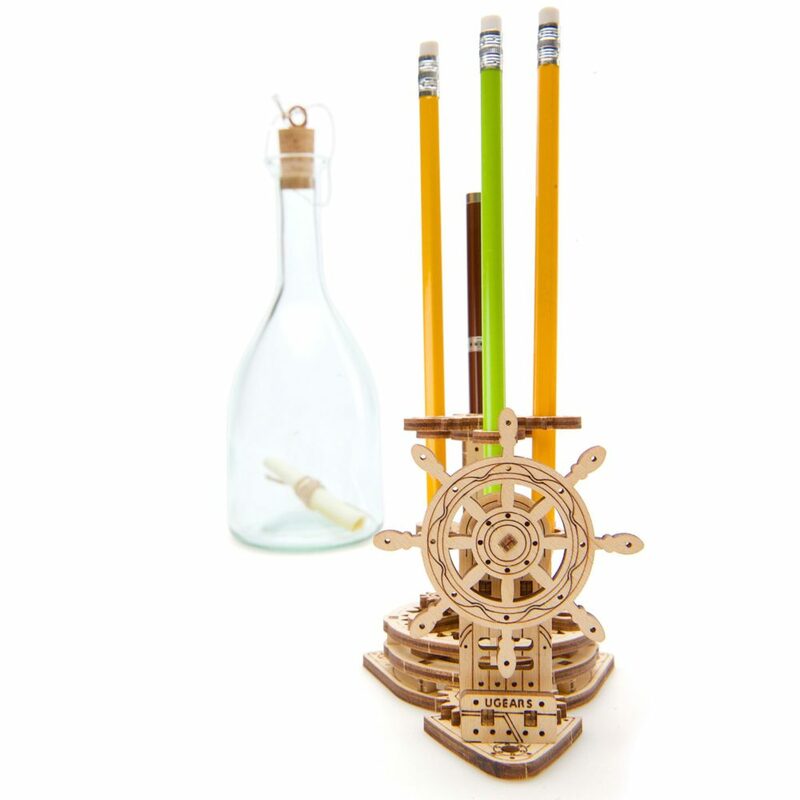 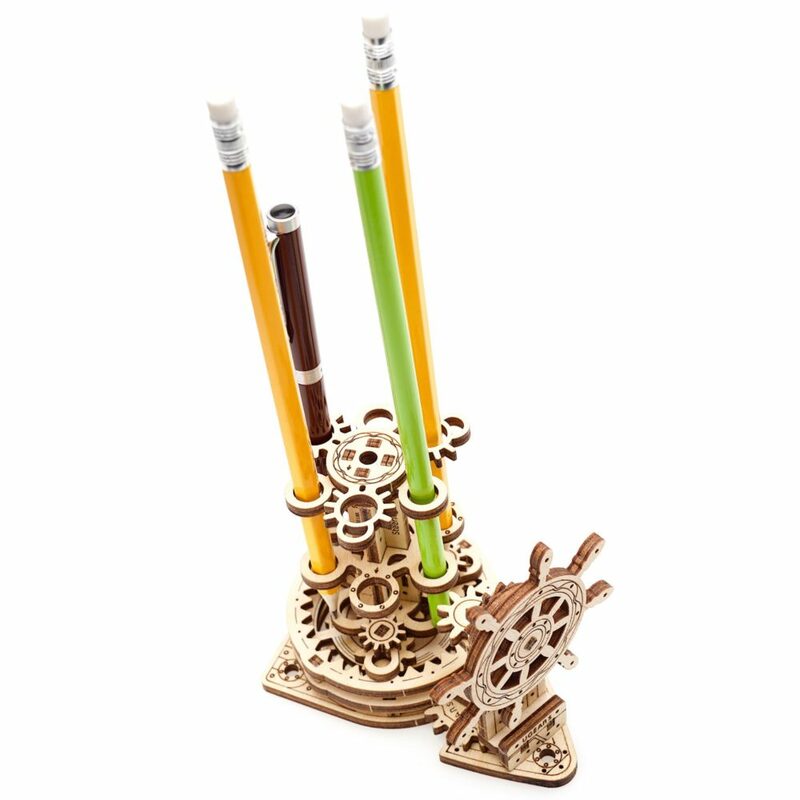 Designed in the nautical theme it features a moving ship steering wheel element and can hold up to 6 pens or pencils. 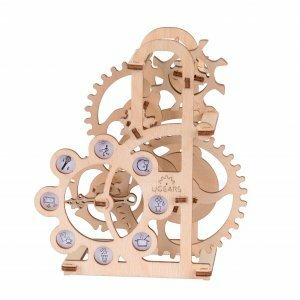 The kinetic storage is set in motion by the model’s external steam-punk planetary mechanism. Simply spin the steering wheel and the right tool comes up directly at your fingertips. 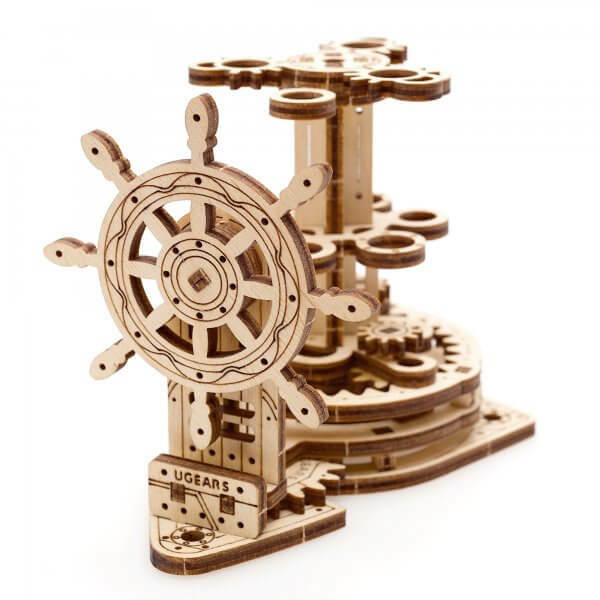 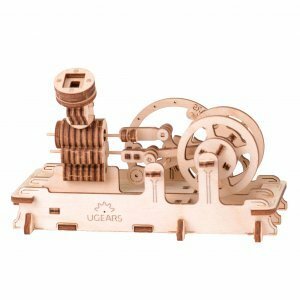 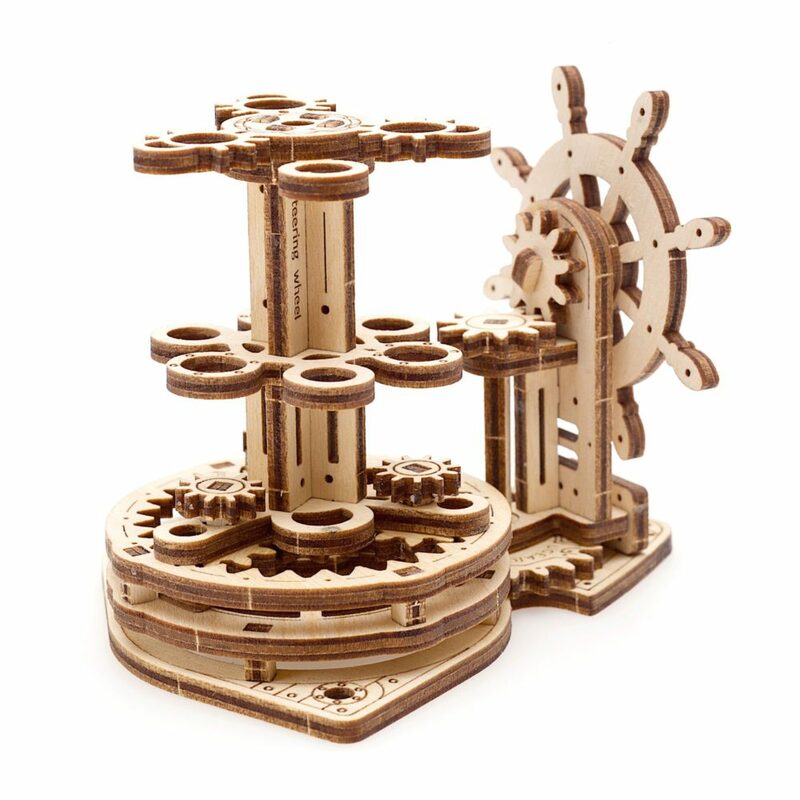 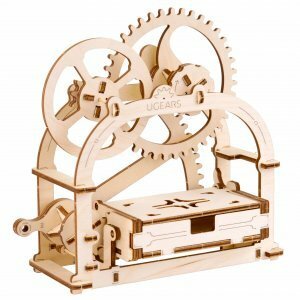 UGears Wheel-Organizer consists of 51 pieces and, just like all UGears mechanical models, is made of high-quality natural wood materials and requires no glue or the use of other tools and materials for an assembly. 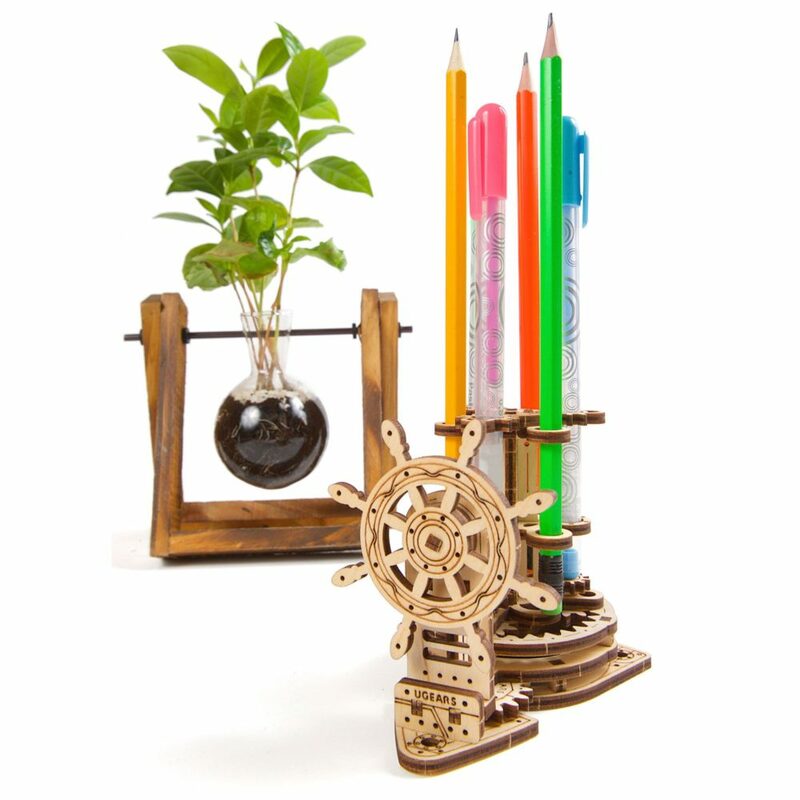 Easy to build, yet quite ornamented Wheel Organizer makes a great addition to your desktop decor and unique gift for a friend, colleague or a business partner!